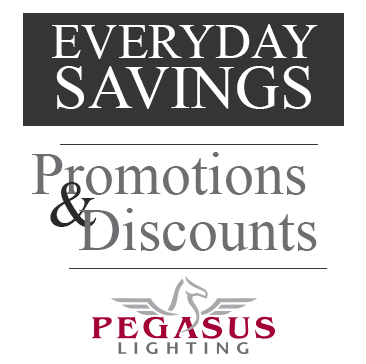 This year marks our 15th anniversary, so we have been celebrating by taking trips down memory lane to 1999, the year of Pegasus Lighting’s birth. This month, of course, we are checking out what was going on in September 1999. Remember when Viacom merged with CBS, the Sega Dreamcast temporarily entranced the population, and lots of crazy stuff happened at the MTV Video Music Awards (In fact, the first five items on this list occurred during the VMAs)? Come check it out! LED technology has come a very long way since its dim beginnings on electronic interfaces. Now, people are throwing around terms like LiFi, which refers to using LED lighting to transmit data between electronic devices. We use LED lights to heal the body and soothe the mind, to grow food and kill bacteria. While many of the coolest innovations in LED lighting are currently out of reach for normal consumers, there are many products that are very much available that may have slipped by unnoticed. Here are five cool products that you may not have heard of but are going to love. I was reading a fascinating and extremely well written article on the history and future of LEDs when I came across the phrase “light recipe.” The phrase did not refer to a culinary dish involving salmon and spring greens. It referred to a prescribed formula of lighting to produce a desired result. For example, a greenhouse farmer using a “light recipe” to grow tomatoes, or sage, or banana trees, or whatever. Since I started writing about light painting in January, it seems like the trend has really picked up. Every few months, I have been able to search for examples of painting with light and find totally new (and exciting) results. The photographers – amateur and professional – out there seem to be upping their light painting game, as you can see in the following eleven examples.